Computer repair job requirements may vary from company to company, but in general, computer repair technicians are responsible for servicing, maintaining, and trouble shooting the computers and networks within a company. Computer repair technicians have to be computer-savvy and have effective communication skills. Computer repair technicians may work behind the scenes, receiving broken equipment, diagnosing and troubleshooting it before making necessary repairs. Such technicians are called "bench technicians", meaning that they're at their workbench all day fixing broken computers. It's much more likely in today's corporate environment that a computer repair technician is a roving Mr. or Miss Fix It, sort of like a car mechanic who travels from cubicle to cubicle making repairs. 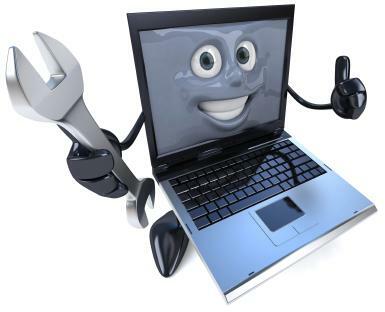 A technician who travels to the site of the computer needing repairs is called a field technician. Field technicians may work within one office and work on individual PCs or they may be part of a team that services large computers such as networks, computers in remote locations, such as servers in various offices, automated teller machines at banks, or other computers. Education: Computer repair technicians typically earn at least an associates degree in computer skills, repair, electronics or related computer subject from an accredited college or university. Be sure to investigate educational institutions thoroughly before applying for their programs and ask about their job placement record. Many junior colleges, two year colleges, community colleges and technical schools offer computer repair degrees. Good communication skills: Computer repair technicians must not only be able to diagnose machines but also listen to people reporting problems. You'll have to be highly skilled in listening, interpreting, and communicating information to users. Some technicians may work at help desks, which have the added challenge of coaching or guiding people through diagnostics without seeing the equipment. All of these situations require excellent communications skills. Computer experience: For those just starting out in a career as a computer repair technician, employers understand that you may not have specific repair jobs on your resume, but they do look for jobs related to the computer industry. Such jobs may be retail sales of computers, software or similar equipment. These demonstrate familiarity and passion for computing. Driver's license: Repair technicians who must travel from site to site may be required to have a valid driver's license. There's an ever-increasing need for skilled computer technicians around the nation. As computer become ubiquitous in the home and office, technicians are needed to help customers install hardware and software, diagnose problems, repair corrupted computers, secure data, and much more. According to the Bureau of Labor Statistics, the employment outlook is fairly good for computer repair technicians, with slow job growth declines expected until 2018. While you might imagine that it's a growing field, the prediction is that new machines will break down less frequently, requiring fewer technicians. The average pay for an entry-level computer repair technician is $10 to $16 per hour, with the amount dependent upon the technician's experience, location and credentials. More experienced computer repair technicians make around $28 per hour. Many computer repair technicians are self-employed, and these people may make more money if they run a repair business, depending on their specialty and experience. You can find jobs for computer repair technicians online at various job hunting websites. Many large corporations post their jobs online; search their website under Human Resources or Employment Opportunities to see current listings. If you love computers and are good with both people and machines, exploring computer repair job requirements is a smart move. With the right education and a good work ethic, you can secure a steady job in a fairly secure industry.